Hidden Gem Spa passes and is inspected by the Regina Public Health Inspectors yearly. All Electrolysis Filaments are disposable. 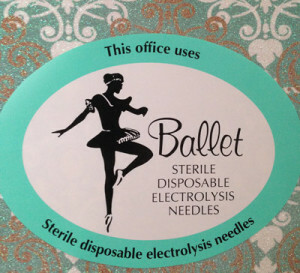 All Electrolysis Filaments are safely discarded into sharps disposable container after every client. All Esthetic emery boards, orange wood sticks, toe spacers are disposed of after each use. All instruments used in services if not disposable are placed in CS20 instrument Chemosterilant. Accel CS20 instrument products provide safety and efficiency by providing a safer, more responsible solution to disinfection without the use of harmful chemicals. This product is designed for use in Health Care and Personal Services when sterilization in a rapid contact time is required. Accel CS20 achieves chemical sterilization and high level disinfection in 20 minutes and has a 14 day re use claim.